Well the truth is, there are several cleansers, for all skin types and conditions. It is important to use cleansers that leave the skin pH-balanced. Most of us use soap… Which I do not recommended for your face as it normally leaves a film causing dryness and other ailments. If you are unfamiliar with using cleansers, there are three basic types gel, lotion, and cream cleansers. People seem to pick up a cleanser because of what they see shown on advertisements. But, should really be purchasing them for their own skin types. For example, the cleansing gels are most of the time are foams that dissolve more oil. Yours truly suggest this for those with oil or combination skin. As skin after use usually feels clean, tight, or dry. 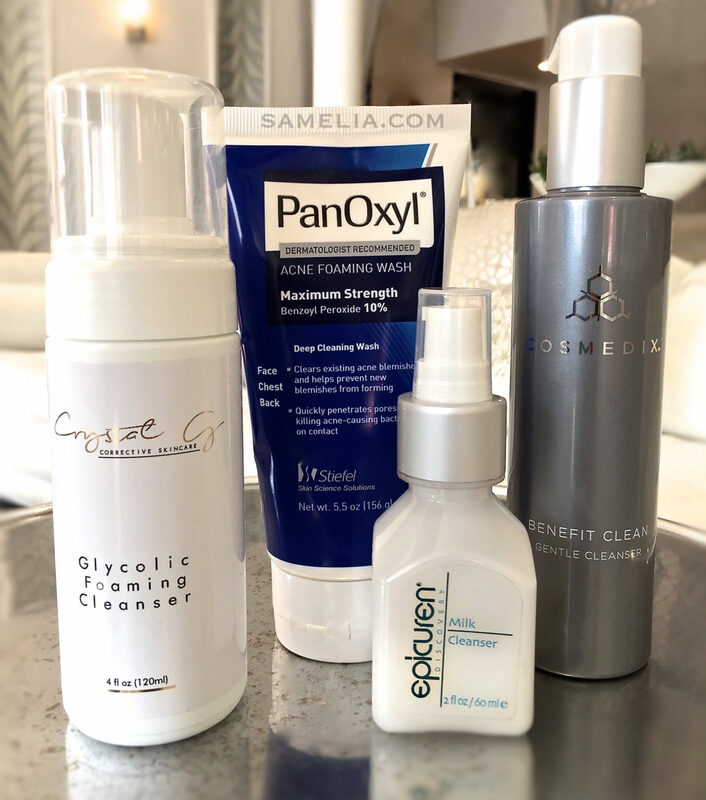 The Cosmedix, Crystal G and PanOxyl are three of my Thursday top cleansers to try! “Milky” or cleansing lotion are normally water based and do not strip the skin of its natural oils. Like the Epicuren one above that is great for sensitive skin. Cleansing creams are usually to remove makeup, water in oil based and are heavier than cleansing lotions. I normally massage this type of cleanser in, then use a wash cloth to wipe the residue off.